And Justice For Art: Bloodstock's Rock And Metal Museum honors Motorhead's Lemmy Killmister. Bloodstock's Rock And Metal Museum honors Motorhead's Lemmy Killmister. "The term legend is often overused but not in this case. Lemmy is a legend to so many fans and bands—an inspiration and character the like of which we're not likely to see again." These words by celebrated British painter/illustrator, Paul Raymond Gregory, clearly reflect his admiration for Motorhead's late vocalist/bassist, Ian 'Lemmy' Kilmmister. As the runner of UK's Metal fest, Bloodstock Open Air, Gregory had the opportunity of meeting Kilmmister in 2010. They had "a long conversation that left me feeling honored to have had. When I heard Lemmy had died I was both shocked and saddened. Motorhead also played Bloodstock which made me feel we had to honor his memory." The artist (who has created artworks for bands like Dio, Saxon, Blind Guardian and is also known for his Tolkien-inspired canvases) took very seriously the idea of honoring Motorhead's frontman, whose unexpected passing last year shocked Metal fans and bands alike. "A fan came up with the idea of renaming the [festival's] main bar which we now call Lemmy's Bar." In addition, "I decided to create a painting of Lemmy for the bar sign, which I did." The imposing, oil on canvas portrait will be displayed this year at the Rock And Metal Museum (RAM). This exhibit is taking place during the celebration of Bloodstock's 2016 edition, from August 11th to 14th at Catton Park, Derbyshire. The exhibit includes many Rock/Metal related-art pieces, including some of Gregory's works. However, this year, it's going to be Lemmy/Motorhead-centered. 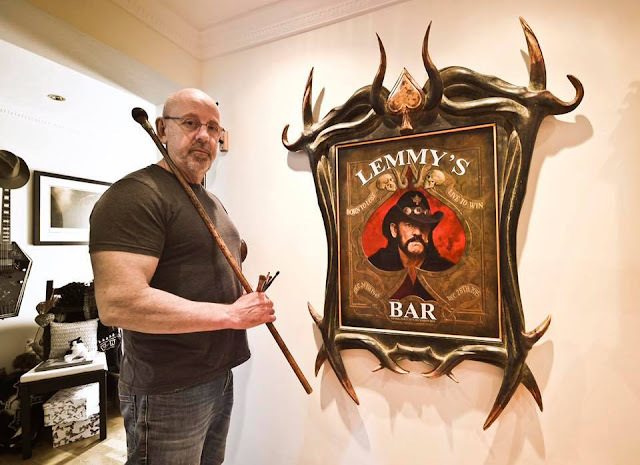 "I decided to create a Lemmy wall that has the original Lemmy artwork in a bespoke hand-carved frame I designed that was made by the framer John Davies, responsible for framing all of my Tolkien inspired work." Paul Raymond Gregory's Lemmy portrait. 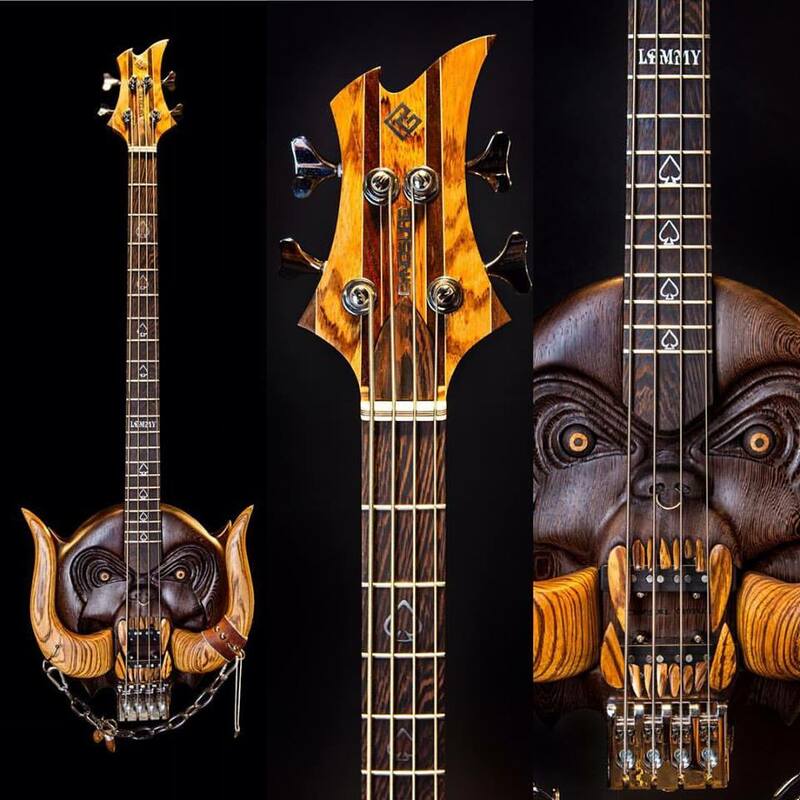 Gregory even commissioned regular RAM gallery exhibitor and great luthier, Oliver Andrew of Cynosure Guitars, with the creation of two hand-carved bass guitars which will sit either side of Lemmy's portrait. One of then, pays homages to Motorhead's iconic mascot, Snaggletooth. “Though stylistically very different from one another, both bass guitars represent the iconography and mise-en-scene of perhaps one of the most prodigious and pioneering rock/metal acts in musical history”, Cynosure proudly comments. 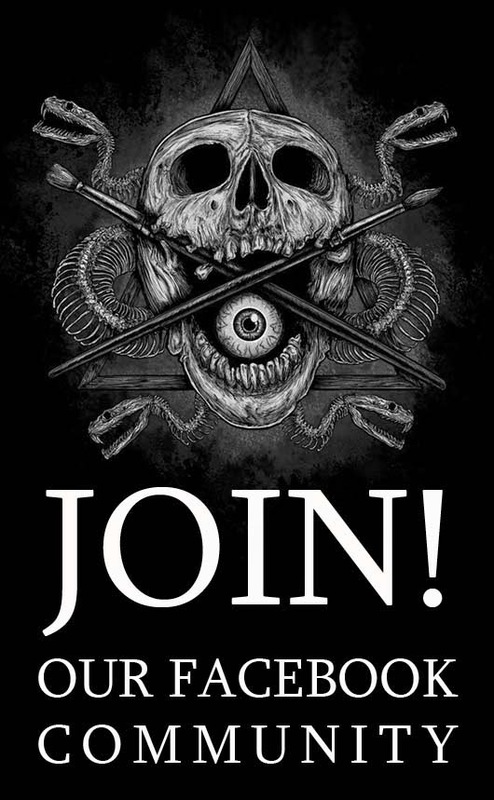 For the gallery, Paul Raymond Gregory also promises "a stunning poster designed by Christian Sloan Hall plus a plethora of framed Motorhead vinyl and much more." 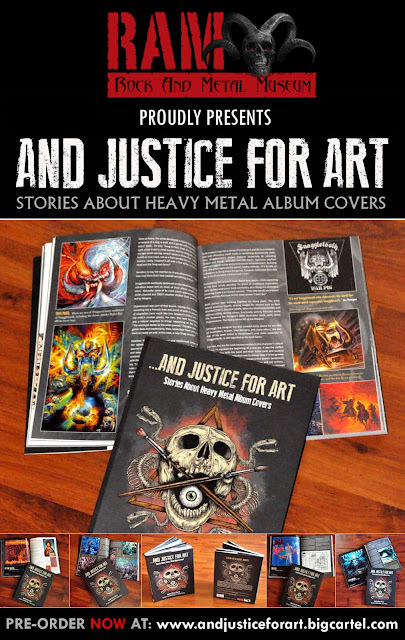 This includes the new revised edition of the book "And Justice For Art: Stories About Heavy Metal Album Covers" which features a chapter about the making of some Motorhead's most iconic artworks. "I wanted to make this all it could be in his memory," says Gregory. Definitely, it's a mission 100% accomplished. The new edition of the book "And Justice For Art" includes a chapter about Motorhead's artworks. Pre-order here. so cool hard metal and rock band arts,its totally a different genre of music often snonymous with rebelious natured people and most rich with its initial art dating to the 60's and 70's but still very inspiring.